We’ve stepped into the Caterpillar engine market with this booster pump layout. 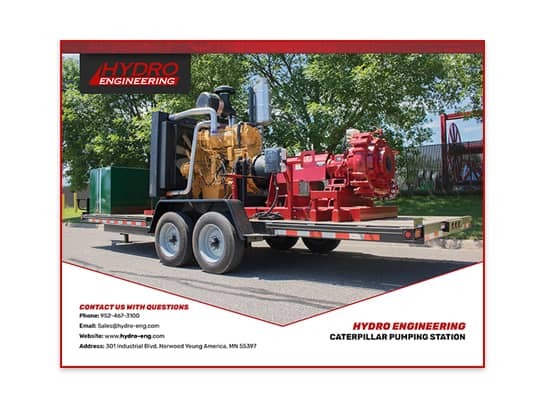 We’ve strapped a Caterpillar C-18 engine to a Hydro universal skid and attached a high chrome Cornell pump to the end. We’ve left all other options available to the customer when it comes to inlet and discharge fittings to fit their specific needs. If you’re looking for a cost effective, high horsepower booster pump, this unit will work for you!